January 29, 2008 – Playing with cellist Amit Peled the five cello and piano sonatas written by Ludwig van Beethoven. Part of the 150 anniversary celebration of the Peabody Conservatory of Music. Amit and I played the Beethoven sonata cycle several times – in Seattle Washington DC, Rockville as well as Jerusalem. As we launched onto each 'journey' we felt that we are handing those special “keys” to the audience. We are the drivers, taking the audience along, on what ends up being a “Rollercoaster with Beethoven”. Survival is crucial to the continuation of the journey.. 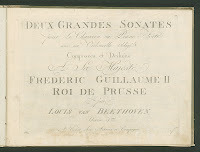 There is a sublime merger of naturalness ad spontaneity in this sonata which in many ways is where Beethoven takes this genre to its ultimate development. 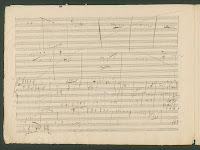 This is also why I think of this work as “the place of arrival”, as in many of Beethoven’s middle period works where he achieves maturity and profound understanding in the genres he is writing to a much greater degree than in his earlier years. In the forth sonata again the cello is the one to present the first notes unaccompanied. But is this a cello? 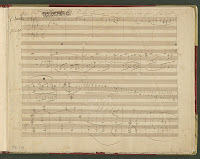 Several aspects make this opening "statement" sounds quite different - the alto register; the non-assertive use of the key (C major), as well as the open-ended character of the theme. Consequently the cello sounds different. And when the piano enters, the sense is not of a dialogue but rather it is of a continuation of the line. Cello and Piano become interwoven, and the polyphonic lines make the two instruments almost indistinguishable. Cello and Piano become ONE! This is not music which is written FOR cello and piano. It is music! Which is played BY cello and piano. The development we have been going through. The growth, the amount of information we are being presented with – all has reached the last work, and yet we keep opening new doors – these ones however are completely new to our EARS! When I first learned the fugue of this sonata (the last movement), I remember calling Amit to say "I am either playing lots of wrong notes, or this is 'atonal' music!!" The End… or better say The Beginning.